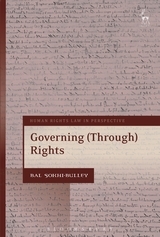 Law research students often begin their PhDs without having an awareness of methodology, or the opportunity to think about the practice of research and its theoretical implications. Law Schools are, however, increasingly alive to the need to provide training in research methods to their students. They are also alive to the need to develop the research capacities of their early career scholars, not least for the Research Excellence Framework exercise. 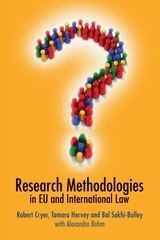 This book offers a structured approach to doing so, focusing on issues of methodology - ie, the theoretical elements of research - within the context of EU and international law. The book can be used alone, or could form the basis of a seminar-based course, or a departmental, or even regional, discussion group. At the core of the book are the materials produced for a series of workshops, funded by the Arts & Humanities Research Council's Collaborative Doctoral Training Fund, on Legal Research Methodologies in EU and international law. These materials consist of a document with readings on main and less mainstream methodological approaches (what we call modern and critical approaches, and the 'law and' approaches) to research in EU and international law, and a series of questions and exercises which encourage reflection on those readings, both in their own terms, and in terms of different research agendas. There are also supporting materials, giving guidance on practical matters, such as how to give a paper or be a discussant at an academic conference. 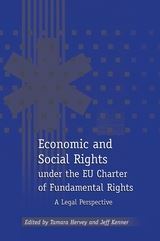 The basic aim of the book is to help scholars in EU and international law reflect on their research: where does it fit within the discipline, what kinds of research questions they think interesting, how do they pursue them, what theoretical perspective best supports their way of thinking their project, and so on. The book is aimed both at PhD students and early career scholars in EU and international law, and also at more established scholars who are interested in reflecting on the development of their discipline, as well as supervising research projects. 1. Introduction: What is a 'Methodology'? 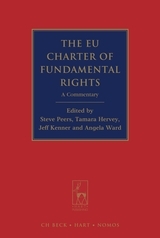 Tamara Hervey is Professor of European Law at Sheffield University. Robert Cryer is Professor of International and Criminal Law, University of Birmingham. Alexandra Bohm is a PhD candidate at the University of Sheffield.